Looking to “Love life to the fullest?” Del Webb Tradition is a 55+ active adult community in Tradition featuring single-family homes and attached villas designed to fit your lifestyle. This community boasts tennis courts, Bocce Ball courts, Pickle Ball courts, resort-style pool, grand clubhouse with onsite Lifestyle Director, state-of-the-art fitness center, and a dog park to enjoy with your four-legged friends. Explore Del Webb Tradition so you can see the beautiful community and resort-style amenities. We believe you’ll like it here. The Cressida’s thoughtful open layout features a spacious gathering room with adjoining dining area that flow seamlessly into the kitchen, perfect for entertaining. The single-story Martin Ray offers open dining and gathering areas, a cook’s kitchen, versatile flex space, and a huge pantry. Del Webb Tradition is an active adult community located within the unique, master-planned community of Tradition. Boasting a grand clubhouse with onsite Lifestyle Director, resort-style amenities, and outdoor fitness elements, your days can be filled with as much or as little activity as you'd like. Enjoy easy access to Tradition’s renowned shopping, dining, and Treasure Coast beaches. Enjoy the tranquil appeal of Del Webb Tradition. Explore scenic walking trails overlooking the expansive lake, or discover the clubhouse. And, whether your game is bocce ball, pickle ball, or tennis, there’s a court waiting for you. Take a swim in the resort-style pool with integrated lap lanes. With clubs from gardening to painting to history and more, you're sure to make new friends and discover new interests here. At the heart of Del Webb Tradition is the grand clubhouse. This bustling epicenter of activity hosts everything from Bunco to Bingo, theme parties to glass painting – not to mention our always hopping happy hours. Come for a cup of coffee, stay for a line dancing class in the movement studio –Del Webb Tradition offers the perfect space for you to grow your interests and forge new friendships. If it’s amenities you’re looking for, Del Webb Tradition has them in abundance. Relish vacation-style living and connect with friends at our beautiful Resort Pool with integrated lap lanes. Then, enjoy a brisk walk on the fitness trail. Keep on your toes at our outdoor, cushioned tennis courts and enjoy a round of pickle ball with friends or grandkids. Del Webb Tradition is all about seizing the day and enjoying all that surrounds you. 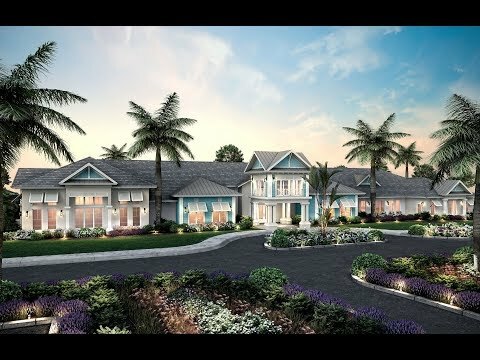 Del Webb Tradition builds quality-crafted, new home communities along the Treasure Coast, known for its beautiful white sand shores, natural landscapes and rich history. Active adult community featuring home designs that fit your needs and enjoy the magnificent recreational amenities and diverse cultural attractions right in your own backyard. Stay tuned for monthly updates as we continue our progress on Del Webb Tradition and the amenity campus. To view our current progress, click more information. *Valid on all Florida new home purchases through 12/31/19. Del Webb offers USAA members a $2,000 credit towards options. See a sales consultant for details. Del Webb Smart Home lets you make your home exactly as smart as you want it to be, because when your home gets smarter, life gets better. Take the virtual tour now.